Returning to the Moon won’t be easy, even though we’ve been there before. In a way, it’s going to be more difficult precisely because we’ve already been there. 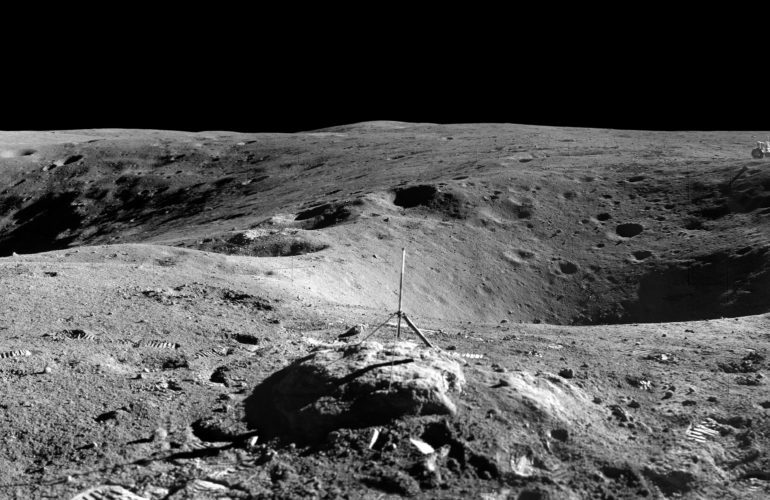 Thanks to Apollo and a host of remote sensing observations, we know vastly more about the Moon now than we did before humanity’s first landing. New knowledge breeds ever more scientific questions about the Moon’s origin and evolution, while from a technical standpoint, looking back on Apollo teaches us priceless lessons on how to explore another world. This combined body of scientific and technical knowledge gives rise to a daunting list of new challenges that must be overcome before renewed exploration. Fortunately, several talks and posters throughout the 2018 Lunar and Planetary Science Conference demonstrated that countless people around the world are working to prepare Moon-bound astronauts to hit the ground running – once they get used to running in one-sixth g, of course. As many readers are probably aware, national space policy has shifted toward returning humans to the Moon. Mars is, for now, a more distant goal. John Guidi, Deputy Director of the Advanced Exploration Systems Division of NASA’s Human Exploration and Operations Mission Directorate, laid out the current plan for human exploration of the solar system: NASA and its international partners will build a space station in lunar orbit from which remote science and, eventually, crewed landings will take place (estimated to occur around 2025). 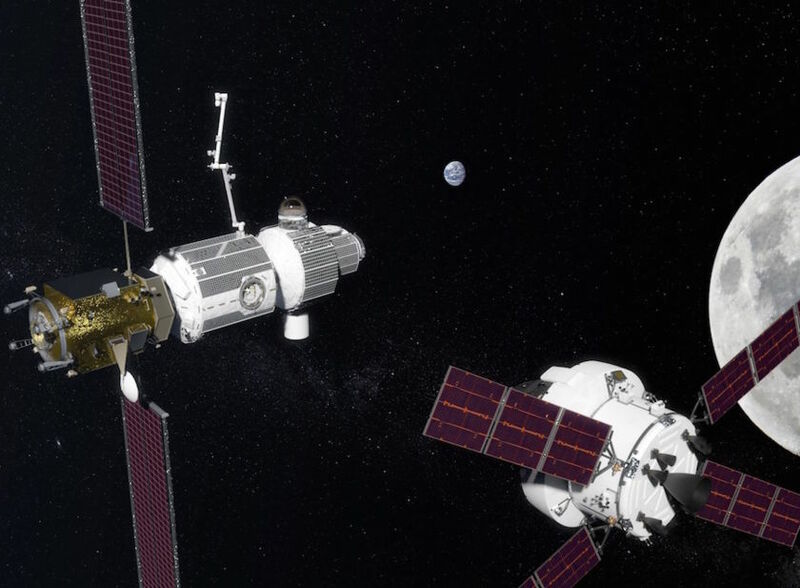 This cooperative, international station, known as the Lunar Orbital Platform-Gateway (can we please just keep calling it the “Gateway?”), will be visited by astronauts for up to three months at a time. According to Guidi, its mission will be multi-faceted, spanning technology development, commercial utilization, and international scientific research. Construction is slated to begin in the 2020’s with the launch of a “Power, Propulsion, and Equipment” module, or PPE. This first launch may carry scientific experiments—a prospect that had the “Luna-tics” at LPSC over the Moon. Early efforts are underway to define what sort of experiments those might be, including a “Gateway Science workshop” held earlier this year. According to Guidi, one of the primary outcomes of that meeting was the need for a robotic arm on the Gateway to install experiments outside the station. Guidi was careful to point out that this is just an illustration, and that the resemblance of any component to any nation’s (or company’s) space vehicles is purely coincidental. “Destination: Moon” is all well and good, but how do we prepare astronauts to be as effective as possible when they finally touch down on the dusty surface? The answer is, not surprisingly, practice! Just as the Moon will be an excellent training ground for Mars, extreme environments here on Earth are great places to test out hardware and techniques for exploring other worlds. Analogs are environments simulating various aspects of spaceflight. NASA uses extreme environments like the seafloor, remote caves, or the windblown ice sheets of Antarctica as analogs for life in space. In these environments, astronauts and ground teams learn both operational and technological lessons that enable more productive exploration of planetary surfaces. Operational lessons relate to the way spaceflight is managed. How should astronauts prioritize their time? What’s the best way for scientists on Earth to communicate their needs to a crew in space? When a decision must be made, which mission goals are most important? During analog missions in an environment similar to spaceflight, astronauts learn to answer these questions while investigating an area of genuine scientific interest or testing out new technology for exploring planetary surfaces. 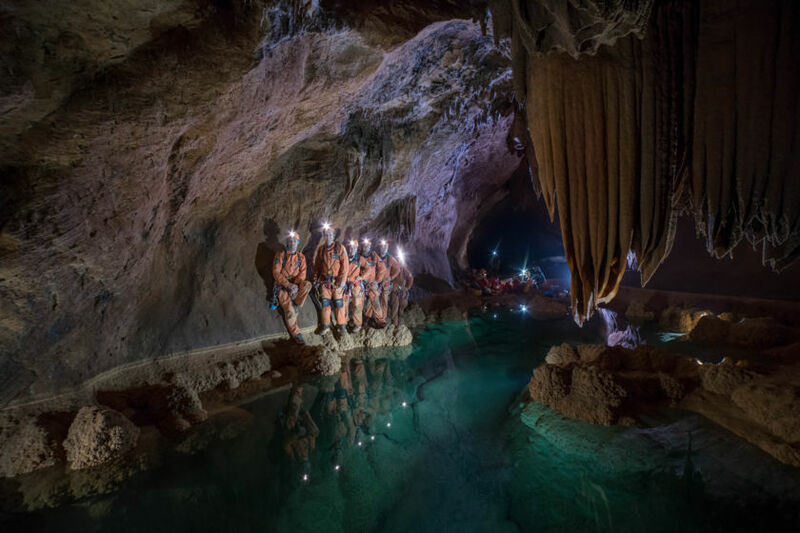 One such operational analog is the European Space Agency’s CAVES program (LPSC Abstract 1458; CAVES being a wonderfully reverse-engineered acronym for “Cooperative Adventure for Valuing and Exercising human behavior and performance Skills”), which prepares astronauts for planetary surface exploration by setting them loose to explore a network of caves in Sardinia, Italy. After several days of skills training, the program culminates in a multi-day underground excursion during which the astronauts explore the caves independently, putting their scientific exploration skills to the test. According to CAVES instructor Francesco Sauro, the expeditions are already revealing useful tricks that will lead to more fruitful exploration of the Moon (and eventually Mars). For example, it turned out that astronaut crews were able to conduct better, faster exploration when they were given daily objectives but not a precise schedule; greater flexibility resulted in greater scientific return. The program also emphasized the value of mixed teams. Mauro explains that different astronaut personality types complement each other during independent exploration: in general, pilot astronauts focus on safety and planning, but can get carried away exploring without documenting their findings; Scientist-astronauts focus on the measurements, but can get hyper-focused on a single, interesting area and lose track of time. Lessons from operational environments like CAVES become particularly powerful when paired with dedicated scientific training designed to give astronauts the skills and fundamental knowledge of field geologists. The European Space Agency’s Pangaea initiative (for which Sauro is also an instructor) imbues European astronauts with this critical knowledge (Abstract 1120), while NASA has incorporated “Earth and Planetary Science” training into the core curriculum for its most recent classes of astronauts (Abstract 2547). In both programs, astronaut training builds from classroom geology lessons to mapping and field exercises. Lessons are based on the Apollo-era mindset of, “You learn by doing and then doing some more.” The idea is that astronauts should not only be prepared to follow instructions, but to evaluate regions of geologic interest with a critical eye and, perhaps, respond to measurements they’ve just made. Communication between the astronauts and scientists back on Earth will be crucial as well, and geology training ensures that the astronauts and their supporting scientists speak the same language. 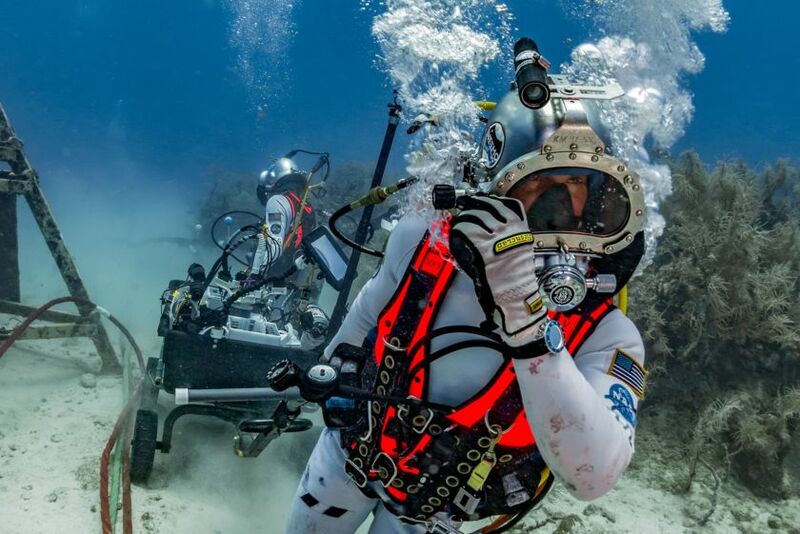 Communication between a science team, mission control, and astronauts on a spacewalk was a central theme of the most recent undersea analog, NEEMO (NASA’s Extreme Environment Mission Operations; Abstract 2422). In addition to operational testing, NEEMO is a favorite for testing out tools for spacewalking. One such tool builds upon lessons learned during Apollo 14’s exploration of the Moon. Astronauts Alan Shepard and Ed Mitchell used a small cart known as the Modular Equipment Transporter (or, as the astronauts called it, the “lunar rickshaw”) to haul tools and scientific instruments around on the lunar surface. The MET was officially deemed “adequate,” but at one point in the mission the two astronauts simply picked it up and carried it, saying, “It’ll roll along here, except we can just move faster carrying it.” Engineers at Johnson Space Center are working on a more effective, lighter cart with removable tool kits for specific tasks (the “Modular Equipment Transport System,” or METS; Abstract 2350). Over two weeks on the seafloor, astronaut Kjell Lindgren and his NEEMO 22 crewmates shuttled the cart about between scientific sites, providing feedback on the design. For example, the modular design held great potential to reduce the weight of the cart and make it easier for the astronauts to pull it, but backfired if the crew later needed a tool that hadn’t been included in a specific kit. The balance between light-weight, thoroughly planned kits and heavier, flexible kits is an ongoing area of improvement for the METS design. A NEEMO 22 “aquanaut” pulled the METS to a worksite on a simulated spacewalk on the seafloor. Moonwalker Schmitt weighed in on the importance of the technological advances built upon Apollo experience, emphasizing the crucial role of intelligent engineering in minimizing the time astronauts spend doing “grunt work.” “Make the machines do this,” he said, “so that the humans can use their brains.” Putting machines to work helps out in other ways: a pair of talks at LPSC (Abstracts 1470 and 2491) centered around the effect that simple human footprints had on the reflectivity of the Moon’s surface around scientific instruments. It turns out that by disturbing the dust around thermal probes buried in the lunar rock, the astronauts’ boot prints changed the surface’s insulating properties and affected measurements of heat flow from the lunar interior! If a rover had drilled the hole for the probes, scientists contend, the surface would not have been affected as strongly, leading to more accurate readings. To be clear, however, Apollo did a lot of things right. We’re still learning from the work that astronauts like Jack Schmitt did while prospecting on the lunar surface almost 50 years ago. One need only look at the days of LPSC talks summarizing the legacy of Apollo 17’s lunar samples (this one sessionis but a single example). In addition, lunar scientists at LPSC were abuzz with debate on how best to utilize the Apollo Pristine Samples, which have been sealed away since they were collected on the lunar surface, awaiting new technology that would delve deeper into their scientific treasure trove. That we are still learning from the Apollo samples after fifty years is a testament to the excellent job done by the astronauts and those who trained them. It’s clear that as long as we keep asking questions, the Apollo samples will continue yielding answers. In the meantime, we’ll continue building upon their legacy…preparing for the day when we gather a new collection!